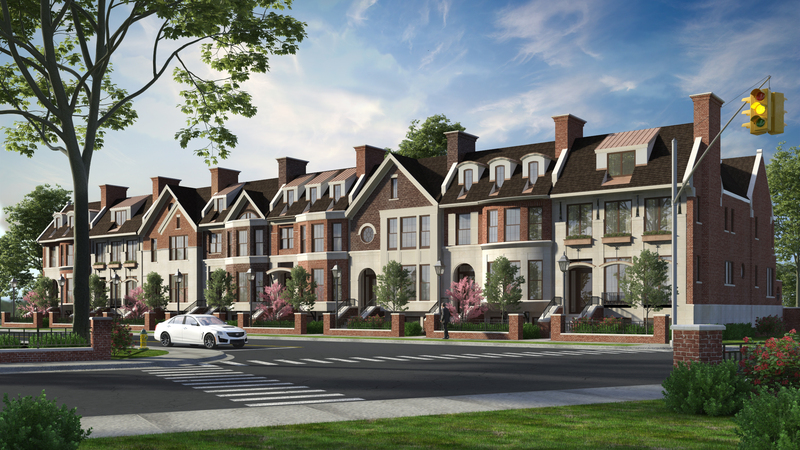 Two new luxury housing developments are being built in Birmingham and Royal Oak. The Park West Luxury Residences, a $5-million, 12-apartment development in Royal Oak, and The Westbrown, a $20 million, eight-unit townhouse development in Birmingham, are expected to be completed in 2019. Dan Gutfreund, principal of Dan Gutfreund Realty Group in Birmingham and a member of Signature Sotheby’s, is the exclusive agent for the developments. Park West Luxury Residences consists of three, four-unit buildings at Maxwell Street and 11 Mile Road (just east of Woodward Avenue) in Royal Oak. Each unit includes a 1,250-square-foot residence and an additional 150 square feet located on the garden level, which can be turned into a home office, gym, or temperature-controlled storage. Other amenities include high-end finishes and features, including private elevator access. The development is in phase one and is anticipated to be completed by spring 2019. Units begin at $400,000. The Westbrown, to be located at W. Brown Street and Southfield Road (a few blocks south of Maple Road), is in easy walking distance to downtown Birmingham. Each unit will be 3,400 square feet and feature luxury design finishes and modern conveniences such as pre-wired home automation and a private elevator. Units start at $2 million and are expected to be ready for occupancy by late 2019. The Westbrown was designed by architect Christopher J. Longe, principal of Christopher J. Longe – AIA Architecture and Interiors in Birmingham and will be built by Christopher Brocavich of Town Building Co. in Royal Oak.